Luc Yao is responsible for advanced displays projects for Merck. Over decades, Merck is a global leader driving innovative display applications through a wealth of advanced materials pipelines. Many liquid crystals enabled devices, such as laptops, smartphones, flat panel TVs have defined modern communications, disrupted industry structures and continuously generated growth opportunities. Together with technical partners and end-market players, Merck is developing advanced displays for the automotive, digital signage and digital health. Luc Yao verifies the market potentials, constructs the ecosystem across the value chains and fosters technological innovations through commercialisation. Luc is an academic visitor at Oxford Institute of Population Ageing and the speaker for Digital Health at German Healthcare Partnership. 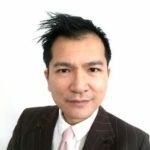 Luc Yao has obtained a Master of Business Administration from Manchester Business School, UK, and a Master of Science from HEC Paris and Said Business School, Oxford University. He is based in Darmstadt Germany and he is active in the display industry, the start-up phenomenon and the Open Innovation networks.